Last week, after a long day of writing and reading, I settled in on the couch to veg. I didn’t really have anything I felt like watching on TV, and my eyes just couldn’t handle the strain of further reading. So I opened up one of the cabinets under my TV, and I started rummaging through my video game collection to see if I had anything sedate enough not to scorch my eyes, but interesting enough to keep my mind occupied for the half hour or so before I could justify going to bed. I picked up an old fishing game for the XBox 360 that I had tried once or twice when I had bought it (used), but never got into. I thought, Well, I’ll give it one more try just to see if I missed something the first time. As it turns out, I really hadn’t missed anything. After about 20 minutes, I turned the game off and went to bed. Fishing on a computer is as boring as it sounds. But that got me thinking about all the games I have played in my life, and just how many hours I’ve spent playing video games (way too many to count). I decided to come up with a list of my favorite games, and organize them by the type of computer or console I played them on when I was playing them. Just to forewarn you, most of the stuff I like is old—the stuff I played when I was a kid, or at least before I got married. My video game playing now is limited to what I can play when my kids are doing other things. I’m what gamers today would call an antique. Nevertheless, here, in a kind of chronological order by technology, are some of my favorites from the past 30 years. Yes, 30 years. 30 Years? Wow. My very first computer was a Commodore 64. I credit that computer with getting me started in both programming and in playing video games (though my friend’s Atari 2600 probably had a bit to do with that too.) There are so many games that I played for the Commodore 64, that I couldn’t possibly list them all. Here are just a few that influenced me the most. Gateway to Apshai – This dungeon adventure game had me hooked from the beginning. I also blame it for my arachnophobia. Project Space Station – Manage project budgets, payloads and astronauts. Perform EVA tasks without running out of fuel. This was like to old Lemonade Stand games serving rocket fuel instead. What better training for a wannabe-astronaut? California Games – How many joysticks did my friends and I wear out playing games that required you to move them back and forth as fast as you could to build up speed on these sporting related games? Must have been a dozen at least. 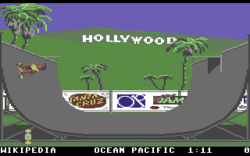 I’d never been on a skateboard or a surfboard, but these games were just like the real thing. I swear! I’ve had two Amiga computers in my life: an Amiga 500 which replaced my Commodore 64, and an Amiga 2000, which replaced the 500. I loved the Amiga, and it was way ahead of PC’s back in the late 1980’s and early 1990’s when it came to graphics. I eventually had to get rid of it when I went to college as it was incompatible with everything I needed in order to do my homework. But as a game machine, it was awesome. Falcon – I learned to fly jets with Falcon, and eventually Falcon 3.0. 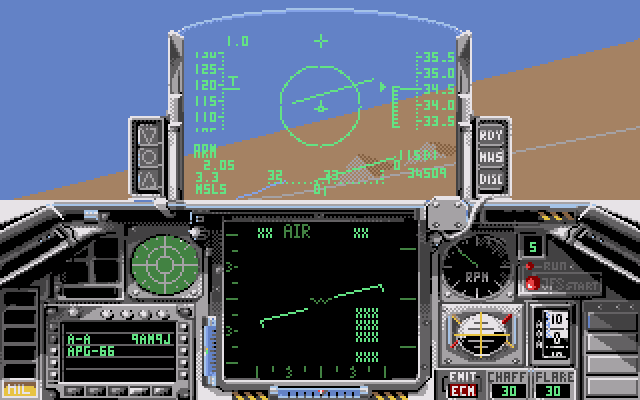 Okay, I never really learned how to fly a real jet, but tooling around in an F-16 Fighting Falcon with an Amiga was a mind blowing experience back in 1990. 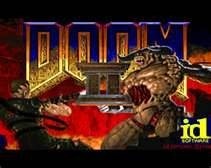 Doom – How many hours of my youth did I misspend wandering the hallways of Doom? Too many. Beating the fireball-tossing bad-asses at the end of the game always seemed like quite an accomplishment. Test Drive – This is one of those games that probably wasn’t as good as I remember, but I loved all the different cars, and just going as fast as you could. When the cops pulled up on your bumper, and you left them in the dust, that was awesome. Of course, I’d never do that in real life. Right? 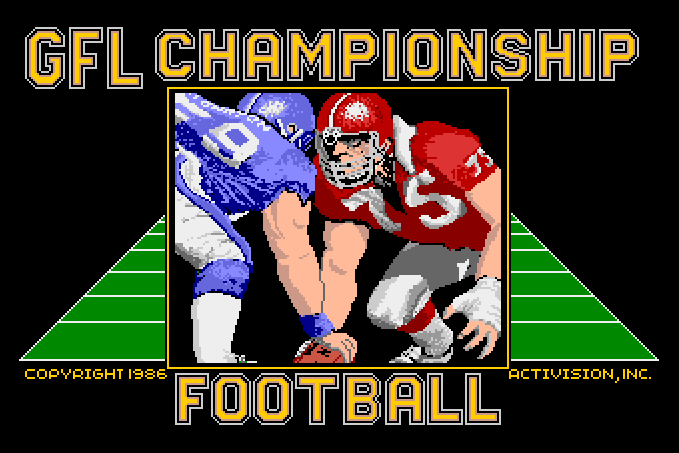 GFL Championship Football – It doesn’t compare to Madden today, but back in the day, it was just like being in the pocket. I never had a lot of money to spend at arcades, but for a while, in college, I plunked quite a few quarters into the little arcade called “The Cage” next to the coffee shop on campus where I got my daily cup of Joe. There were only two games in there (plus foosball), but I wore out my wrists and fingers playing them. I don’t think my aging joints would last twenty minutes in The Cage these days. Raiden – I loved that I could work the pattern, and always get a little better. It was probably the only game I was better at than anyone else I knew, solely out of of sheer repetition. Street Fighter – I routinely got beat by other people, but I was a good match against the computer, at least for the first few rounds. This post is getting a lot longer than I initially planned, so I’m going to split it here. In the next post, I’ll cover my favorite PC Games, and then in the future, I’ll cover console games. Of course, as soon as I publish this list, I’ll think of a dozen more that I left off. I’ll compile that list down the road a bit. What were your pre-1995 favorites?